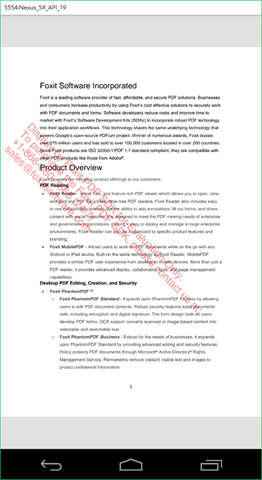 This tutorial walks you through using Foxit MobilePDF SDK to make an Android which displays PDF files. With step-by-step instructions, and only a few lines of code needed, it’s extremely easy to add PDF functionality to your mobile app! 2. An up-to-date version of Android Studio. This tutorial uses Android Studio 2.1.1 and JDK 1.7.0.79. However you can use other versions without issue. 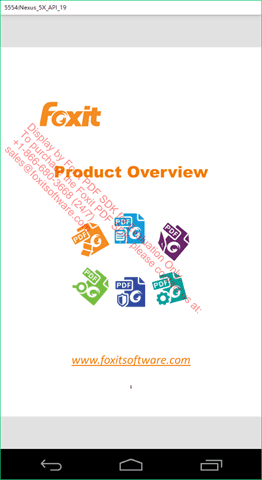 Click here to get your free trial of Foxit MobilePDF SDK! Once you’ve filled out the form, you’ll receive an email with download links and some helpful documents. 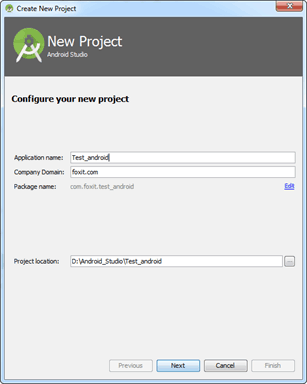 Open Android Studio, and choose File -> New -> New Project… to start the Create New Project wizard, and then fill the New Project dialog as shown here. After filling, click Next. 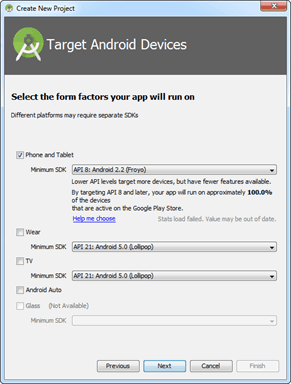 In the Target Android Devices dialog, select “Phone and Tablet” to run your app, and set the Minimum SDK to API 8 as in the following image. Then, click Next. 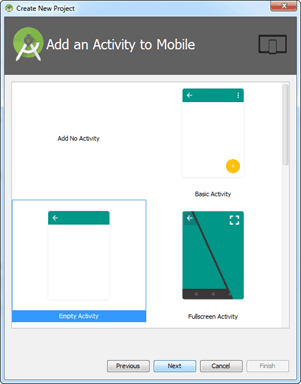 In the Add an activity to Mobile dialog, select “Empty Activity” as in the following image, and then click Next. 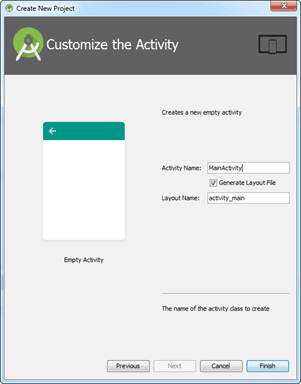 In the Customize the Activity dialog, customize your activity as desired, here, we use the default setting, and then click Finish. 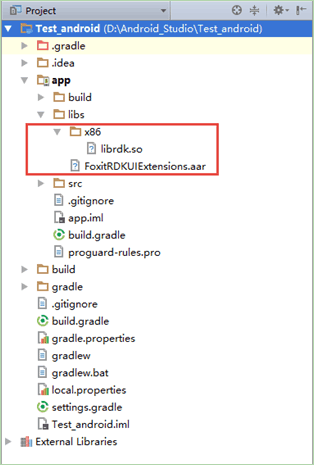 a) Copy and paste the “FoxitRDKUIExtensions.aar” file from the “libs” folder of the download package to “Test_android\app\libs” folder. b) Copy and paste the “librdk.so” file from the “libs\x86” folder of the download package to “Test_android\app\libs\x86” (note that you might need to create this folder by yourself). Note: For this project, we will run the project on an emulator with x86 architecture, so we just add the “x86/librdk.so” library into the project. If you are not clear about the architecture of the device you want to use, you can add all of the “.so” libraries, because the linker can distinguish the device’s architecture and then choose the proper Android PDF SDK library. 4. Initialize Foxit MobilePDF SDK and add code to display a PDFNote So far, we set the compileSdkVersion and targetSdkVersion to API 23. If you also want to use API 23, please make sure you have already installed the SDK Platform Android 6.0, API 23. If you have not already done this, open the Android SDK Manager to download and install it first. Add the PDF View Control to show the PDF in the “activity_main.xml” found in the “app/src/main/res/layout”. In the “MainActivity.java“, instantiate a PDFDoc object to load an existing PDF document (“/mnt/sdcard/Sample.pdf”); and instantiate a PDFViewCtrl object to show the document. Please make sure you have already pushed the “Sample.pdf” onto the Android device or emulator’s SD card. // The value of "sn" can be found in the "rdk_sn.txt". // The value of "key" can be found in the "rdk_key.txt". Set the “users-permission” in the “AndroidManifest.xml” found in the “app/src/main” to give the project permission to write and read the SD card of the Android devices or emulators. Note: If you want to run this project on an Android 6.0 (API 23) or higher devices/emulators, you need to write some additional code to require the authorization of runtime permissions, or you can change the targetSdkVersion in app’s “build.gradle” from 23 to the SDK version that is just less than 23, such as 21. Congratulations! 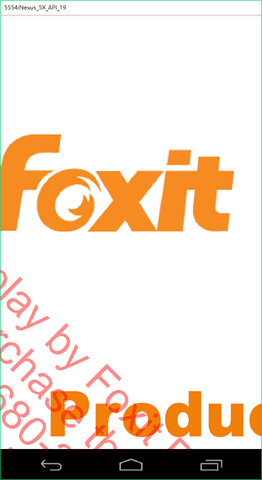 We have now finished building a simple Android app which uses Foxit Mobile PDF SDK to display a PDF document. And, it only required a few lines of code too!